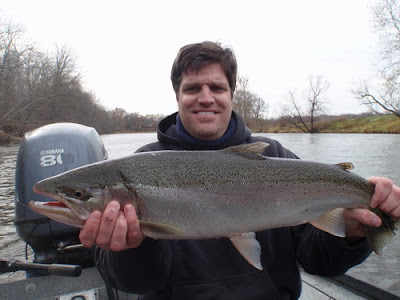 Muskegon River Guide.com: Muskegon River Steelhead Fishing. 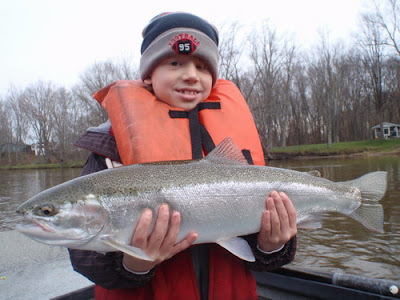 This fish took young Jake for a ride. Mike with a heavy Steelhead. 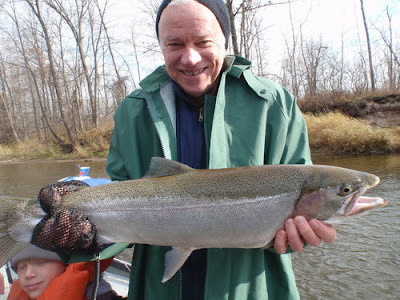 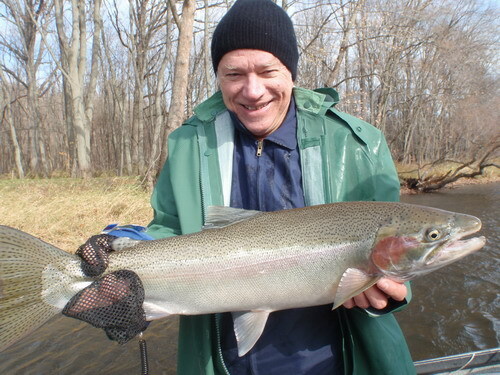 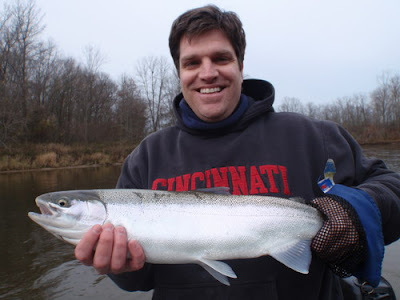 Mike with a hard fighting Muskegon River Buck Steelhead. 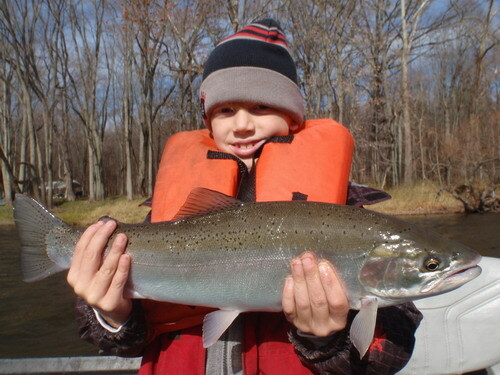 Jake landed more Steelhead than his dad and grandpa today!! This Steelhead was out of the water almost as much as it was in during the fight!